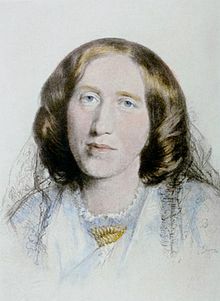 ^ "George Eliot Biography - life, childhood, children, name, story, death, history, wife, school, young". www.notablebiographies.com. Retrieved 2018-07-23. ^ a b c Craigie, Pearl Mary Teresa (1911). "Eliot, George" . In Chisholm, Hugh. Encyclopædia Britannica. 9 (11th ed.). Cambridge University Press. pp. 275–277. ^ Bidney, Martin (2002). "Philosophy and the Victorian Literary Aesthetic". In Baker, William; Womack, Kenneth. A Companion to the Victorian Novel. Westport: Greenwood Press. pp. 100–101.